By Otis Gibbs. Discovered by Player FM and our community — copyright is owned by the publisher, not Player FM, and audio streamed directly from their servers. 168 episodes available. A new episode about every 27 days averaging 30 mins duration . Indianapolis Star journalist, Dave Lindquist talks about witnessing a tragic stage collapse at a Sugarland concert in Indianapolis.By admin. Reggie Young talks about touring and recording with Johnny, Waylon, Willie and Kris: The Highwaymen.By admin. Bill DeMain Is the co-author of Sgt. Pepper at 50. Bill shares some wonderful stories about the making of the most recognizable album artwork of all time.By admin. Ray Wylie Hubbard talks about the time Ringo Starr played Snake Farm to Joe Walsh and the friendship that followed.By admin. Dean Metcalf talks about the painting John Mellencamp gave to the Bob and Tom Show and the strange story surrounding it.By admin. John Lomax tells the story of a Texas guitar legend who blew every opportunity and burned every bridge.By admin. John Lomax II talks about how his father influenced Guy Clark, Lightnin Hopkins, Townes Van Zandt, Mance Lipscomp, and a lot of other young artists in Houston.By admin. Reggie Young talks a bout playing guitar on Elvis Presley’s legendary recordings at American Sound Studios in Memphis. These sessions produced Suspicious Minds, In The Ghetto, Kentucky Rain and other all time Elvis classics.By admin. Chris McKinney tells the story of how one guitar helped define the sound of The Beatles and Badfinger. Chris is the curator of the Jim Irsay Guitar Collection.By admin. Larry Groce talks about the time the biggest band in the world came to Charleston, West Virginia to play Mountain Stage.By admin. 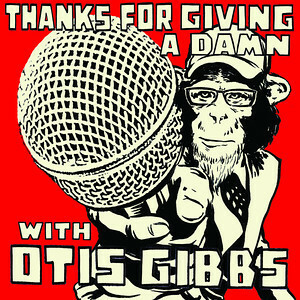 Otis talks about the history of the show and his plans moving forward.By admin. Ben Swanson is part owner of Secretly Group (Secretly Canadian/Jagjaguwar). Listen in as he shares stories about his friend, Jason Molina.By admin. Ray Wylie Hubbard shares stories about whore dog gigs, unscrupulous promoters, Jerry Jeff Walker, Willie Nelson, Stevie Ray Vaughan, Freddie King and a ton more.By admin. Slaid Cleaves pays tribute to Don Walser, Fred Eaglesmith, Ray Wylie Hubbard and Gurf Morlix for taking the time to teach him a few lessons along the way.By admin. Aaron Allan talks about being the first person to interview Johnny Cash while working as a disc jockey in San Antonio in the 1950s.By admin. Mike Bub shares stories about Bill Monroe hanging and playing at Nashville’s Bluegrass Mecca, The Station Inn.By admin. Shawn Camp shares stories about his friendship with the great Guy Clark.By admin. Kenny Vaughan shares stories about being around one of the all time great artists, Merle Haggard.By admin. Otis tell stories and shares a preview of his new album, Mount Renraw.By admin. Legendary recording engineer, Lou Bradley talks about recording George Jones’ all time classic, He Stopped Loving Her Today.By admin. Legendary engineer, Lou Bradley shares memories of recording Charlie Rich’s classic album, Behind Closed Doors. Lou shares stories about Charlie Rich, Billy Sherrill, Pig Robbins and everyone else involved in making this all time classic album.By admin. Barry Mazor tells the story of Jimmie Rodgers’ final days, his heroic final recording session and his last train ride.By admin. Billy Bragg explains how Skiffle made the British Invasion possible.By admin. Barry Mazor is the author of Ralph Peer And The Making Of Popular Roots Music and he’s sharing stories about how Ralph Peer changed the music business.By admin. Mike Bub shares stories about hanging with The King Of Bluegrass, Jimmy Martin.By admin. Mike Bub shares a lot of great stories about playing gigs with The Father Of Bluegrass Music, Bill Monroe.By admin. Elijah Wald talks about Bob Dylan’s infamous electrified performance at the 1965 Newport Folk Festival.By admin. Elijah Wald shares a ton of great stories about Dave Van Ronk.By admin. Joe Bussard’s collection of old 78s is believed to be the best in the world. Joe shares stories of how he found these records while going door to door in rural Appalachia in the1950s and beyond.By admin. Otis talks about the events that lead to Woody Guthrie writing his iconic classic, This Land Is Your Land.By admin. Bob Mehr, author of Trouble Boys: The True Story Of The Replacements, shares stories about The Replacements’ ill fated and sometimes disastrous gigs in Nashville.By admin. Pete Finney talks about the wonderfully strange and disorganized time he spent playing pedal steel with the great Doug Sahm.By admin. Pete Finney is the co-curator of the Dylan, Cash and The Nashville Cats exhibit at The Country Music Hall Of Fame and he shares a ton of great stories about Dylan’s friendship with Cash and how it changed how we think of Nashville.By admin. Otis talks about Billy Holiday’s version of Strange Fruit and the 1930 lynching in Marion, Indiana that inspired it.By admin. Ken Sanders talks about his friendship with Edward Abbey and shares stories about Abbey’s friendship with Robert Crumb.By admin. Jeremy Harmon of the Salt Lake Tribune talks about the life, death and legacy of iconic folk singer, Joe Hill.By admin. Gurf Morlix talks about Marty Robbins’ classic album, Gunfighter Ballads And Trail Songs.By admin. Otis tells the personal, painful and hilarious story of when he and Amy left their home Indiana and moved to Nashville.By admin. John Knowles shares stories about his friendship with Jerry Reed.By admin. Paul Griffith tells the strange story about the time he spent playing drums for Hank Williams Jr.By admin. We talk about the strange and wonderful day when Elvis Presley showed up unannounced at the White House with a pistol and demanded to see President Nixon.By admin. Peter talks about Rodney Crowell’s Volkswagen, seeing Van Halen at the Whiskey in 1977, Tom Petty at the Whiskey, touring with the Ramones on the Rocket To Russia tour, Ramones stories, DIY touring before punk rock hit, Rodney Bingenheimer stories, John Prine stories, Jim Rooney, etc.By admin. Start listening to Thanks For Giving A Damn on your phone right now with Player FM's free mobile app, the best podcasting experience on both iPhone and Android. Your subcriptions will sync with your account on this website too. Podcast smart and easy with the app that refuses to compromise.